What Should I Know About Sebastian River Medical Center? Fully accredited by the Joint Commission, Sebastian River Medical Center offers surgical services including orthopedic, sports medicine, thoracic oncology and endovascular procedures to patients on the Treasure Coast. 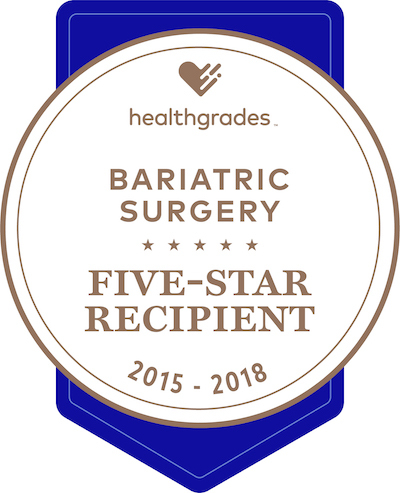 The recipeint of several awards and distinctions, SRMC is a Bariatric Surgery Center of Excellence (American Society for Metabolic and Bariatric Surgery and the American College of Surgeons) and a Certified Primary Stroke Center (The Agency For Health Care Administration). We offer a full suite of cardiac services including diagnostic and interventional cardiology as well as hospital-based cardiac, pulmonary and physical rehabilitation programs, laboratory services, a sleep disorders center, transitional care unit, and the Center for Wound Care & Hyperbaric Medicine. Sebastian River Medical Center is committed to achieving the highest level of measurable quality and efficiency in the delivery of health care services that are responsive to the needs and values of our patients, physicians, employees, and visitors. The year was 1965, and Dr. Kip Kelso dreamed of bringing a first-class hospital to Sebastian. A resident of Roseland, Kelso watched as hundreds of lots were bought and sold in the Sebastian Highlands, and he knew those people would soon need a hospital. When Kelso visited the World's Fair in New York, he got his first glimpse of a futuristic facility, dubbed the atomedic hospital for its cutting edge technology at the dawn of the Space Age in the early 1960s. Designed as an exhibit and to serve as a medical clinic for the fair's 80 million visitors, the mostly aluminum structure was round and windowless, framing was primarily lightweight steel to meet code requirements, and both exterior and interior walls were composed of aluminum and polystyrene-foam sandwich panels- it looked nothing like a typical hospital. The floor plan was a series of concentric rings, with the outer corridor for visitors. Patient rooms formed an inner circle, and the central core was where professional services such as surgeries were performed. Kelso was fascinated by the building, so he purchased it and had the disassembled structure shipped on a barge to his property on U.S. Highway 1. After a long battle with the Florida State Board of Health, a temporary permit was finally granted and a grand opening was planned. But it was not to be- the structure Kelso hoped to be Sebastian's first hospital burned to the ground. That fire didn't stop him, though. Kelso organized a group of developers and consultants and finally, thanks to his perseverance and persistence, Kelso's dream of a first-class facility in Sebastian was realized in February of 1974 when the 103-bed hospital finally opened its doors. In October 2010, a $25 million expansion project was completed that added 42 private patient rooms and a 16-bed Intensive Care Unit. Shortly after construction of the patient tower was completed, more than $3 million was invested in a brand-new cardiac catheterization lab. In 2013, a second cath lab was added to meet the demand for interventional cardiology services. Fully accredited by the Joint Commission, Sebastian River Medical Center is now licensed for 154 beds and serves residents and visitors of Sebastian and the surrounding communities. With over 100 physicians, a nursing and ancillary staff of approximately 500, and a volunteer staff of 200, the hospital continues to stay on the cutting edge of technology. In 2011, SRMC acquired an advanced robotic-assisted surgical system that facilitates complex procedures and may offer patients less pain and a faster return to normal activities. In 2013, we purchased a similar system for partial knee resurfacing and total hip replacement. Sebastian River Medical Center is consistently being recognized for clinical excellence. A Certified Primary Stroke Center, we began a partnership with the University of Florida and Shands Health Care in 2012. This partnership provides critifcal care in heart and stroke emergencies through nationally and internationally recognized physicians. Sebastian River Medical Center has come a long way since Dr. Kelso first dreamed of opening a hospital. Thanks to the dedication of all those involved, the hospital continues to grow, adding services, technology and life-saving procedures. However, SRMC is proud to say that the main focus for staff, physicians and volunteers still remains clear: to provide quality health care with the highest level of caring and compassion on the Treasure Coast.